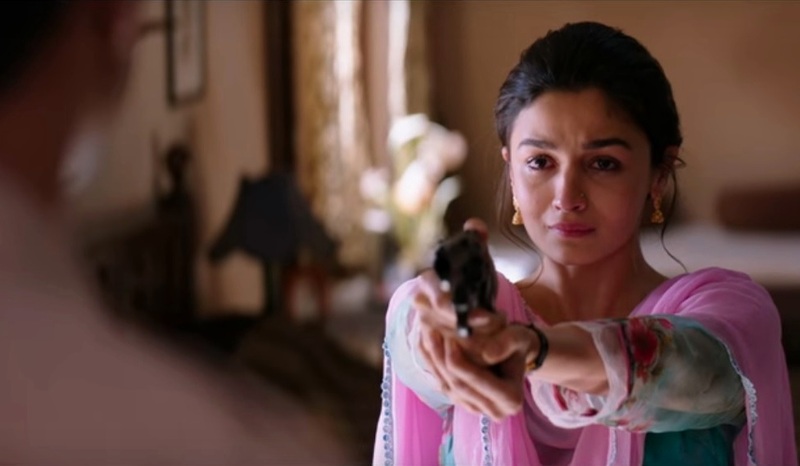 The trailer of the much-awaited Meghna Gulzar directorial 'Raazi' is finally out and it looks stunning to say the least. Set in 1971 and inspired by true events, Raazi stars Alia Bhatt in the role of an Indian woman who gets married to a Pakistani but her actual job is that of a spy tasked with the critical job of sourcing key information for India as the war between India and Pakistan becomes imminent. Seeing the trailer one gets a sense of thrill, mystery and intrigue that are essential to the genre. Alia Bhatt brings in an element of tenderness that adds to the film's overarching theme of espionage. Her character in the film looks rather complex and multi-layered and so it can be said with some certainty that Raazi is all about Alia Bhatt. Probably, no other actor in that role could have brought in such a level of mystique. As for Vicky Kaushal, he never really acts badly. Seeing the trailer, his character in Raazi does come across as interesting but it remains to be seen how much it gets to interact with Alia's character. If it's just plain romance or there would be more to their relationship in the movie. One hopes the the movie allows Kaushal to give a demonstration of his remarkable acting range that we earlier got to witness in movies like Masaan and Raman Raghav 2.0 but was somewhat missing in the Netflix outing Love Per Square Foot. Another exciting thing about Raazi is that this is the first film that Meghna Gulzar is directing since Talvar and so the expectations from her are quite high. From the rushes it is evident that the movie has good production values and the period detail too looks quite impeccable. The editing also looks quite edgy and so one can hope that the film will keep us on the edge of our seat. Raazi, produced under the banner of Dharma Productions, is set to release on May 11, 2018. Next Post: SilentOwl, the premium immersive music experience in town!